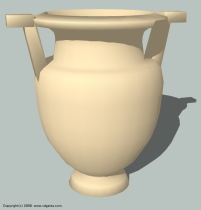 This category contains information about pottery, such as dishes and vases, in ancient Greek and Rome. 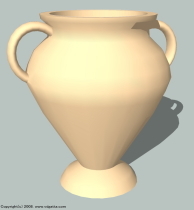 Pottery changed its shapes with times and places. Archaeologists or other scholars classify and give names to each of them, but this page treats only the typical shapes. There are much difference between Greek and Roman tableware. This page is based on Greek vases, but their names and shapes can apply to Roman in a lot of cases. Please select a image or title from this list. 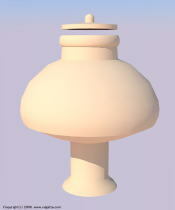 Please select a vase or title on the image. Click the image to enlarge. Copyrighted by Shiro Kawashima.